Buying the best Fitbit Ionic band is the perfect way to breathe new life into Fitbit's first smartwatch. Whether you've already got one around your wrist right now or you're looking to help someone mix things up on the look front, the Ionic already has a few third-party strap options for you to explore. 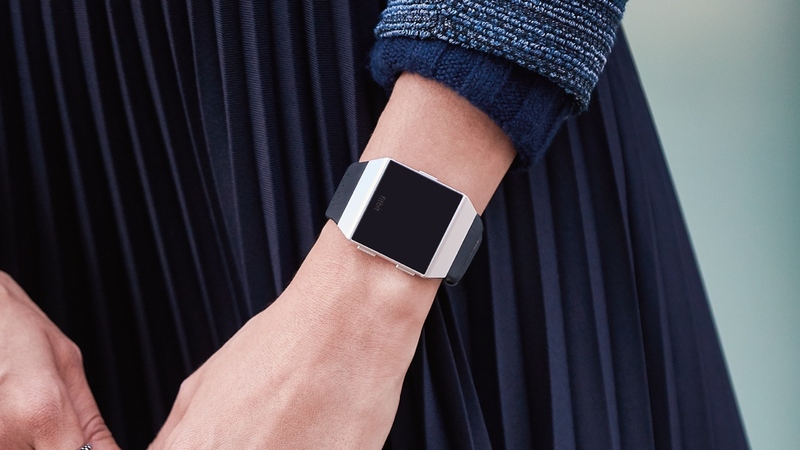 Fitbit itself, too, has consistently churned out its own bands and also collaborated with fashion houses in order to give its fitness trackers a more premium look. There's now even a Fitbit Ionic Adidas Edition to take a look at. We're currently testing as many of them as we can alongside the Ionic in order to figure out what they're like to wear and which options are best for you to consider, so make sure to check back as we update our list. So you thought you could only get that sleek Milanese loop look from the folks over in Cupertino, did you? Well, think again. Through this third-party option from Aresh, you can pick up this classy magnetic band in six different colour styles — rose gold, black, orange, gold, smoke gray and silver. Naturally, how good these look largely comes down to which Ionic body colour you're rocking, but this is a great option for those looking to pick a smarter option without the faff of adjusting and resizing. If Milanese loops aren't your thing, you may find that a standard steel band does just the trick. With this option coming in a whopping 14 different styles, too, you're sure to find a colour that can help you mix things up from the usual sporty look. It should fit most wrists, but bear in mind that you'll likely have to adjust the links as well. The Ionic's standard band is all well and good if you want to run around your local park or hit up the swimming pool, but it's by no means the dressiest strap out there. So if you want to ditch the sporty look, you can give this rhinestone-packed metal option from Bayite a try. The band comes in three colours - gold, black and silver - with a clasp system in place for you to lock the device to your wrist. Since this is a metal band, it also comes with a tool to resize and adjust to your wrist, while also being easy to take on and off. You may like the idea of Fitbit's sporty, perforated bands, but it's also possible the company's options are too limited in design or expensive for your taste. In that case, Ldfas is on hand to provide you pretty much the same two-tone design in a range of seven alternative combinations. All of Ldfas' straps fit wrists of between 5.7-inches and 8.1-inches, with the perforations giving you lots of room to adjust and find a spot comfortable for when you're exercising (and want that underside steady to monitor your heart rate) or sat at your desk at work. Fitbit itself obviously offers you its range of leather straps, but if you want to opt for something a little cheaper, or you just plain don't like the look of its range, you might be interested in Cagos' bands for the Ionic. For wrists of between 6.29- to 8.66-inch wrists, the company offers you three leather options (black, brown, blue) with small perforations covering the band. It's all well and good pairing your Fitbit Ionic with fancy straps that help it blend as a regular timepiece, but sometimes you want to protect your smartwatch from the bumps and grazes wearing it every day can bring. It isn't the most premium look, granted, but there's not many better ways to keep your Ionic in good condition in the long run right now. Want a leather band that's a little more traditional, yet comes alive with some nice stitching? OenFoto's leather bands are a good option. This hand-crafted option comes with a couple color variations, but our favourite is the smooth light brown with white and red stitching. Something that you definitely won't be able to pick up from Fitbit is the wild patterns coming in Allbingo's straps. Along with plenty of regular designs, as well as a couple of protective cases, the company also offers a range of colourful designs - similar to the two shown above. We're not saying you'll want to wear one of the wacky variations every day, but it could make a nice rotation piece that you break out when you're feeling adventurous. Since they're made from rubber, you should even be able to rep your pattern in the gym.